As a leading manufacturer of wide format inkjet printers and cutting systems, Mimaki will be exhibiting at FESPA 2018 in Berlin. Mimaki will showcase their innovative solutions for the Industrial Textile, Sign Graphics and the fast developing 3D markets. In addition, Mimaki will be an important participant in several FESPA special exhibits including the Printeriors, Print Make Wear and the World Wrap Masters Final. Mimaki’s UV LED roll-to-roll machines, solvent and UCJV300 series will be on display. Originally introduced in September 2017, the UCJV300-160 model is a technologically superior printer/cutter that features very low running costs and instantly dry ink which enables printing to a diverse range of materials, including PET film, fabric and heat sensitive media. After the success of the product, Mimaki has announced three new smaller models that include UCJV300-75, UCJV300-107, and UCJV300-130, with print widths of up to 80cm, 109cm, and 136cm respectively. All three models will feature Greenguard Gold certified LUS-170 inks, new ID cut function for hassle free automatic cutting of consecutive jobs via barcode and unique 4 layer day and night printing which enables designs to build layers, transformative graphics for backlit applications. Mimaki will exhibit its full range of UV LED flatbed printers which is specifically aimed at industrial markets. The range will include the award winning A2 and A3 format machines and the grand format JFX200-2531 that features a print area of 2.5 x 3.1m. Other possibilities will be revealed including direct printing on 360-degree surfaces and print-and-cut workflow in conjunction with cutting machines. Mimaki will showcase their latest flatbed cutting machine, the CF22-1225 and will feature a laser cutting machine in partnership with Trotec. Visitors attending FESPA 2018 will be able to see both direct to textile printing and sublimation transfer at the Mimaki stand and an extensive collection of textile samples. One of the highlights at Mimaki’s stand will be the Tiger-1800B, a robust textile printer for industrial level high level production. The Tiger-1800B is specifically designed for producing soft furnishing fabrics and fashion and apparel. It delivers high print speeds of up to to 385m2/h, fantastic print output and strong build quality. An additional highlight will be Mimaki’s presence at FESPA’s Print Make Wear feature, a live production environment showcasing every step in the screen and digital production process. Mimaki will display the printing process with the Tx300P-1800 model. 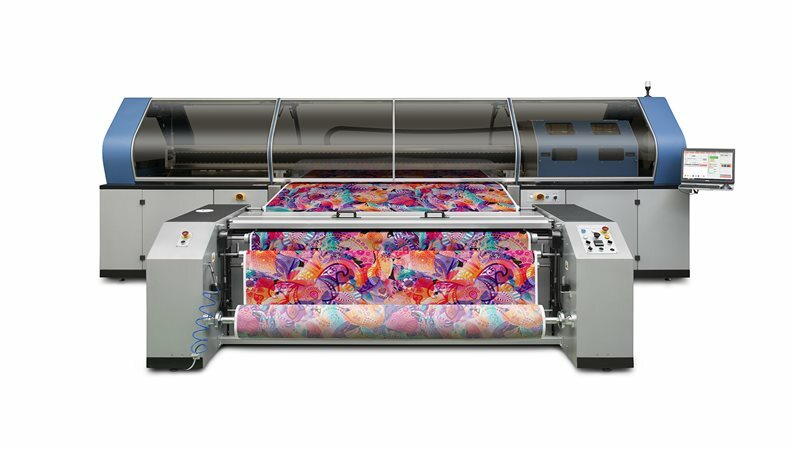 Using its unique dual ink capability, this direct to textile printer can sublimation dye inks and textile pigment inks at the same time. This enables the machine to print on a diverse range of fabrics without the need to change out ink systems.